Announced earlier today, Motorola's Moto G4 family includes three new handsets: Moto G4, Moto G4 Plus, and Moto G4 Play. 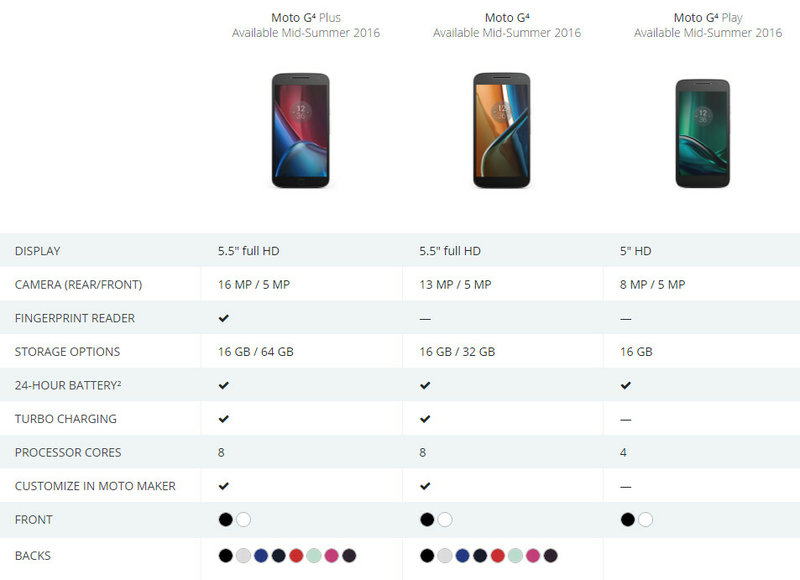 While all three smartphones are made with budget users in mind, the Moto G4 Play is clearly not on par with the other two, as it's got a 5-inch 720p display (instead of a 5.5-inch 1080p one), and is powered by a quad-core Snapdragon 410 processor (instead of the octa-core Snapdragon 617 that's found inside the G4 and G4 Plus). 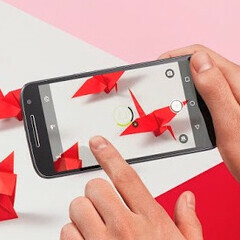 Another thing that differentiates the Moto G4 Play from its larger, more powerful siblings is the fact that you won't be able to customize this phone via Moto Maker. Meanwhile, both the G4 and G4 Plus will be available on Moto Maker with the choice of 8 different rear colors, plus various accents, and the option to engrave personalized messages or names on their backs. Needless to say, the Moto G4 Play will be the cheapest among the three new Motorola Lenovo smartphones. Pricing details for the US market haven't been shared, but we assume the Moto G4 Play will cost less than $150 unlocked. The Moto G4 could be sold starting at $179, while the Moto G4 Plus (the only one to offer a fingerprint scanner) may cost a bit over $200. All three Moto G4 handsets will be available in the US starting "mid summer" - which we guess means July - running near stock Android Marshmallow. Do you plan to buy any of these phones? So they added a finger scanner, but no NFC. While the specs are fine I guess, it shows these phones were made by Lenovo. No waterproofing, bad design (especially the G4 Plus), 5.5 inch screen, many variants of the same phone, less options in Moto Maker (No "Accent" option + less colors, pretty boring ones too. Don't know what will happen to engraving and greeting message).